Which common game enemies are the absolute worst? "These guys are just taking the piss"
Cold callers. Slow WiFi. Mosquitoes. Justin Bieber. Life is full of incredibly irritating things, and unfortunately video games are no exception. Sometimes our one escape from the real world becomes a terrible trap, thanks to a super annoying enemy type. Since the days of Super Mario Bros.' little hammer guys, we've had to swear and strop our way through some right a-holes. 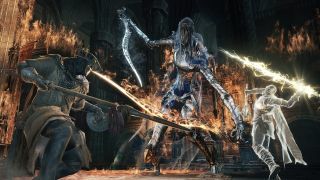 We asked the GamesRadar+ team for their peskiest foes. Which enemy has made your life hell recently? Let us know on Twitter.